What Signs and Symptoms Accompany Insomnia, and How Does Insomnia Affect Health? What Causes Chronic or Long-Term Insomnia? What Are Mental Health Causes of Insomnia? 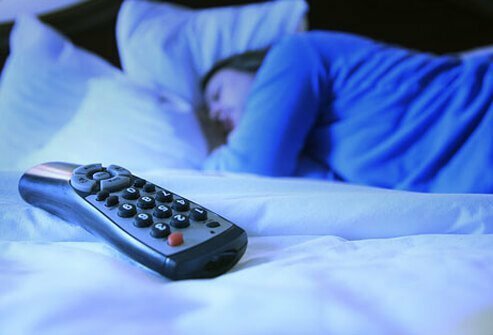 What Are Physical Health Causes of Insomnia? What Are Primary Sleep Disorders? How Insomnia Can Be Treated? What OTC or Prescription Medications Treat and Cure Insomnia? What Natural Treatments or Home Remedies Help Cure Insomnia? What Other Therapies or Lifestyle Changes Can Help Insomnia? Most adults have experienced insomnia or sleeplessness at one time or another in their lives. However, some of the general population have chronic insomnia. Insomnia is not defined by a specific number of hours of sleep that one gets, since individuals vary widely in their sleep needs and practices. Although most of us know what insomnia is and how we feel and perform after one or more sleepless nights, few seek medical advice. Many people remain unaware of the behavioral and medical options available to treat insomnia. Insomnia affects all age groups. Among adults, insomnia affects women more often than men. The incidence tends to increase with age. Insomnia typically more common in people in lower socioeconomic (income) groups, chronic alcoholics, patients with post-traumatic stress disorder or symptoms, and mental health patients. Stress most commonly triggers short-term or acute insomnia. Chronic insomnia may develop if it isn't addressed. Some surveys have shown that about a third of Americans reported difficulty falling asleep during the previous year and a significant percentage reported problems with long standing insomnia. There seems to be an association between depression, anxiety, and insomnia. Although the nature of this association is unknown, people with depression or anxiety were significantly more likely to develop insomnia. Insomnia is a symptom, not a stand-alone diagnosis or a disease. By definition, insomnia is "difficulty initiating or maintaining sleep, or both" or the perception of poor quality sleep. Insomnia may therefore be due to inadequate quality or quantity of sleep. Doctors associate a variety of signs and symptoms with insomnia. Often, these symptoms complicate other medical or mental health conditions. Some people with insomnia may complain of difficulty falling asleep or waking up frequently during the night. The problem may begin with stress. Then, as you begin to associate the bed with your inability to sleep, the problem may become chronic. Alcohol and antihistamines may compound the problems with sleep deprivation. Others have tried nonprescription sleep aids. Many people with insomnia do not complain of daytime sleepiness, and in fact, they may have difficulty falling asleep during intentional daytime naps. Insomnia may be caused by a host of different reasons. These causes may be divided into situational factors, medical or psychiatric conditions, or primary sleep problems. Uncontrolled physical symptoms (pain, fever, breathing problems, nasal congestion, cough, diarrhea, etc.) can also cause someone to have insomnia. Controlling these symptoms and their underlying causes may lead to resolution of insomnia. The majority of causes of chronic or long-term insomnia are usually linked to an underlying psychiatric or physiologic (medical health) condition. Insomnia may be an indicator of depression. Many people will have insomnia during the acute phases of a mental illness. As mentioned earlier, depression and anxiety are strongly associated with insomnia and are the most common causes of sleeplessness. Prescribed medications for upper respiratory congestion. Some medications used to treat high blood pressure. People often use alcohol to help induce sleep, as a nightcap. However, it is a poor choice. Alcohol is associated with sleep disruption and creates a sense of non-refreshed sleep in the morning. Idiopathic insomnia (unknown cause) or childhood insomnia, which start early on in life and results in lifelong sleep problems. This may run in families. Central sleep apnea. This is a complex disorder. It can be the primary cause of the insomnia itself or it may be caused by other conditions, such as brain injury, heart failure, high altitude, and low oxygen levels. Circadian rhythm disorders (disturbance of the biological clock) which are conditions with unusual timing of sleep (for example, going to sleep later and waking up late, or going to sleep very early and getting up very early). Sleep state misperception, in which the patient has a perception or feeling of not sleeping adequately, but there are no objective (polysomnographic or actigraphic) findings of any sleep disturbance. Insufficient sleep syndrome, in which the person's sleep is insufficient because of environmental situations and lifestyle choices, such as sleeping in a bright or noisy room. A person with insomnia needs a doctor's attention if it lasts longer than three to four weeks, or sooner if it interferes with a person's daytime activities and ability to function. Generally, a person will not be hospitalized for most types of insomnia. However, when a lack of sleep results in an accident or other bodily harm, the patient might be admitted to the hospital for treatment of a condition resulting from the insomnia. Worsening pain or increased difficulty breathing at night also may indicate a person needs to seek emergency medical care. However, chronic insomnia, if not associated with an injury or resultant life-threatening problem typically does not belong in the emergency department. It is a condition to discuss with a primary care physician or a psychiatrist. The health-care professional will begin an evaluation of insomnia with a complete medical history. As with all medical evaluations, a complete medical history and physical examination are important aspects of assessment and treatment of insomnia. The health-care professional will seek to identify any medical or psychological illness that may be contributing to the patient's insomnia. A thorough medical history and examination including screening for psychiatric disorders and drug and alcohol use is paramount in evaluation of a patient with sleep problems. Physical examination may particularly focus on heart and lung examination, and measurement of size of the neck and visualizing oral and nasal air passages (to see whether sleep apnea needs to be assessed in more detail). A patient with insomnia may be asked about chronic snoring and recent weight gain. This may direct an investigation into the possibility of obstructive sleep apnea. In such an instance, the doctor may request an overnight sleep test (polysomnogram). Sleep studies are frequently done in specialized "sleep labs" by doctors trained in sleep medicine, frequently working with pulmonary (lung) specialists. This test is not part of the routine initial workup for insomnia, however. Routine medications, alcohol use, drug use, stressful social and occupational situations, sleeping habits or snoring of the bed partner, and work schedule are some of the other topics that may be discussed by your doctor when evaluating insomnia. The Epworth Sleepiness Scale is a validated questionnaire that can be used to assess daytime sleepiness. This scale may be helpful in assessing insomnia. Actigraphy is another technique to assess sleep-wake patterns over time. Actigraphs are small, wrist-worn devices (about the size of a wristwatch) that measure movement. They contain a microprocessor and on-board memory and can provide objective data on daytime activity. A sleep diary can be filled out daily for a period of 2 weeks. The patient is asked to write down times when they go to bed, fall asleep, awake from sleep, stay awake in bed, and get up in the morning. They can record amount of daily exercise, alcohol and caffeine intake, and medication. The diary will include the patient's personal assessment of their alertness at various times of the day on two consecutive days within the 2 week period. In general, transient insomnia resolves when the underlying trigger is removed or corrected. Most people seek medical attention when their insomnia becomes chronic. The main focus of treatment for insomnia should be directed towards finding the cause. Once a cause is identified, it is important to manage and control the underlying problem, as this alone may eliminate the insomnia all together. Treating the symptoms of insomnia without addressing the main cause is rarely successful. In the majority of cases, chronic insomnia can be cured if its medical or psychiatric causes are evaluated and treated properly. The following therapies may be used in conjunction with therapies directed towards the underlying medical or psychiatric cause. They are also the recommended therapies for some of the primary insomnia disorders. Generally, treatment of insomnia entails both non-pharmacologic (non-medical) and pharmacologic (medical) aspects. It is best to tailor treatment for an individual patient based on the potential cause. Studies have shown that combining medical and non-medical treatments typically is more successful in treating insomnia than either one alone. There are numerous prescription medications to treat insomnia. Generally, it is advised that they should not be used as the only therapy and that treatment is more successful if combined with non-medical therapies. In a study, it was noted that when sedatives were combined with behavioral therapy, more patients were likely to wean off the sedatives than if sedatives were used alone. The most commonly used sleeping pills are listed in the following sections including over-the-counter medications and natural sleep aids. Benzodiazepine sedatives: Six of these sedative drugs have been used to treat insomnia. There are reports of subjective improvement of quality and quantity of sleep when using these medications. Examples include temazepam (Restoril), flurazepam (Dalmane), triazolam (Halcion), estazolam (ProSom, Eurodin), lorazepam (Ativan), and clonazepam (Klonopin). Nonbenzodiazepine sedatives: Examples include eszopiclone (Lunesta), zaleplon (Sonata), and zolpidem (Ambien or Intermezzo). Orexin antagonists: Suvorexant (Belsomra), is newer class of medication that works by decreasing activity in the wake center of the brain and therefore promoting sleep. Ramelteon (Rozerem) is a prescription drug that stimulates melatonin receptors. Ramelteon promotes the onset of sleep and helps normalize circadian rhythm disorders. Ramelteon is approved by the US Food and Drug Administration (FDA) for treatment of insomnia characterized by difficulty falling asleep. Some antidepressants (for example, amitriptyline [Elavil, Endep] and trazodone [Desyrel]) have been used for the treatment of insomnia in patients with co-existing depression because of some sedative properties. Antihistamines with sedative properties [for example, diphenhydramine (Benadryl) or doxylamine] have also been used in treating insomnia as they may induce drowsiness, but they do not improve sleep and should not be used to treat chronic insomnia. Melatonin: Melatonin is secreted by the pineal gland, a pea-sized structure at the center of the brain. Melatonin is produced during the dark hours of the day-night cycle (circadian rhythm). Melatonin levels in the body are low during daylight hours. The pineal gland responds to darkness by increasing melatonin levels in the body. This process is thought to be integral to maintaining circadian rhythm. At night, melatonin is produced to help your body regulate your sleep-wake cycles. The amount of melatonin produced by your body seems to decrease as you get older. Melatonin supplements may be beneficial in older patients who have difficulty staying asleep. Valeriana officinalis (Valerian) is a popular herbal medication used in the United States for treating insomnia with possibly some benefit in some patients with chronic insomnia. St. Johns Wort and chamomile have not shown any real benefit in treating insomnia. Other natural herbal sleeping aids such as, dogwood, kava kava, and L-tryptophan, may be associated with potential adverse effect when used for insomnia. Keep a regular sleep and awakening schedule, i.e. go to bed and get up at the same time every day. Relaxation therapy involves measures such as meditation and muscle relaxation or dimming the lights and playing soothing music prior to going to bed. Set your alarm clock to get up at a certain time each morning, even on weekends. Do not oversleep. Restricting your time in bed only to sleep may improve your quality of sleep. This therapy is called sleep restriction. It is achieved by averaging the time in bed that the patient spends only sleeping. Rigid bedtime and rise time are set, and the patient is forced to get up at the rising time even if they feel sleepy. This may help the patient sleep better the next night because of the sleep deprivation from the previous night. Sleep restriction has been helpful in some cases. Avoid doing work in the bedroom that should be done somewhere else. For example, do not work or operate your business out of your bedroom and avoid watching TV, reading books, and eating in your bed. A person's circadian rhythm (biological clock) is particularly sensitive to light. Parents who need to sleep during the day may have to make child care arrangements to allow them to sleep. Behavioral therapy has been useful in modifying the insomnia and symptoms of sleep deprivation in shift workers. A person should shift their schedules forward in a clockwise direction, from days to evening, then evenings to night shift, and allow sufficient time to adapt (at least one week) between shift changes. Bright light is a potent stimulus to circadian rhythm. Bright light is being examined as a rhythm synchronizer. Shift workers should stress the importance of good sleep habits with regular bedtime and awakening. Supplemental naps may be necessary to ensure work time alertness. Discuss the use of naps with a doctor. Some people promote using short-acting sedatives in the first few days following a shift change, but not everyone agrees. Stress may be positive or negative, and concerns about sleep may vary. Many stressors will go away with support and reassurance. Education about the importance of good sleep habits is also helpful. Some people may need short-term treatment with medications. A doctor will often work toward the lowest effective dose with a short-acting sedative to achieve proper sleep. Work to improve your sleep habits. Learn to relax. Self-hypnosis, biofeedback and relaxation breathing are often helpful. Establish a bedtime routine. Have a fixed wake time. If you do not fall asleep within 20 to 30 minutes, try a relaxing activity such as listening to soothing music or reading. Limit daytime naps to less than 15 minutes unless directed by your doctor. It is generally preferable to avoid naps whenever possible to help consolidate your night's sleep. There are certain sleep disorders, however, that will benefit from naps. Discuss this issue with your doctor. Recovery from insomnia can vary. If you have insomnia caused by jet lag, your symptoms will generally clear up within a few days. If you are depressed and have had insomnia for many months, it is unlikely that your symptoms will go away on their own. You may need further evaluation and treatment. Your outcome will also depend on coexisting medical conditions, which may include congestive heart failure, chronic obstructive pulmonary disease (COPD), and chronic pain syndromes. Please describe your effective treatments with insomnia. Please describe your experience with insomnia. What were the symptoms of your insomnia?